Each section of each program begins with a navigation page for easy access to specific concepts. These programs also automatically "bookmark" the student's last viewed screen and will prompt the student to return to that screen upon their return. 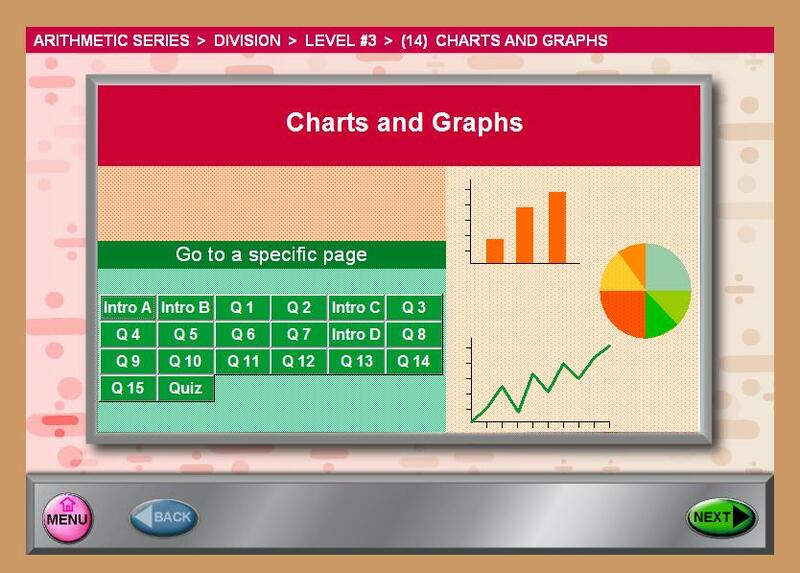 This section on basic charts and graphs gives the student a beginning learning opportunity into the world of statistics.